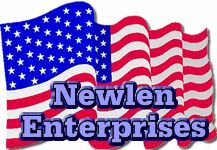 Newlen Enterprises is a Professional Services Company specializing in management and information technology consulting. Our professionals have the experience and expertise to solve your problems and support your efforts. We specialize in small business and departmental support. This website outlines what we do but you can contact us with questions that are not answered. We can prepare a business plan and assist you in presenting your company, or setting a direction and measuring stick to achieving your goals. Our reviews can help you identify the weak areas; improve your consistency, accuracy, and presentation; identify the relevant facts and construction reasonable and reliable conclusions; and get the reader's attention. Our IT plans will provide the infrastructure you need today and prepare you for growth. We can review your existing automation and advise you of the strengths and weaknesses of services, equipment and/or people. We offer reviews of departments, projects, peers, and security. Our consultants have worked in every position of computers, automation, data processing, information systems (IS), and/or information technology (IT). When automation systems break Companies lose money, often $1,000 or more per hour. We can help you define and test a Contingency Plan and/or Disaster Recovery Plan for your automation. We are accounting systems implementation experts for small business. Our staff can support your systems administration needs through implementation, conversion, or upgrade. We can provide temporary fill-in to relieve overburdened staff. We have MS Office experts available to help you with your short term needs. Our MS Access and Visual FoxPro programmers can analyze and code your applications without hand holding, on time and within budget. We do follow a systems development life cycle and enforce a change control procedure. We are accounting system implementation experts and have converted or transfered data frequently. We have become strong users of the industry's best data conversion tool. We can meet your data conversion needs be they paper data, flat files, databases or proprietary systems. We are an experienced bulk mailing service from prospect acquisitions and management to full mailing preparation and delivery. We can also help you set up a bulk mailing function or train your staff.